Last month, we released our 130th Anniversary Limited Edition Small Batch, featuring four of our 10 unique Bourbon recipes. This special Bourbon was handcrafted to commemorate the 130-year history of our brand. 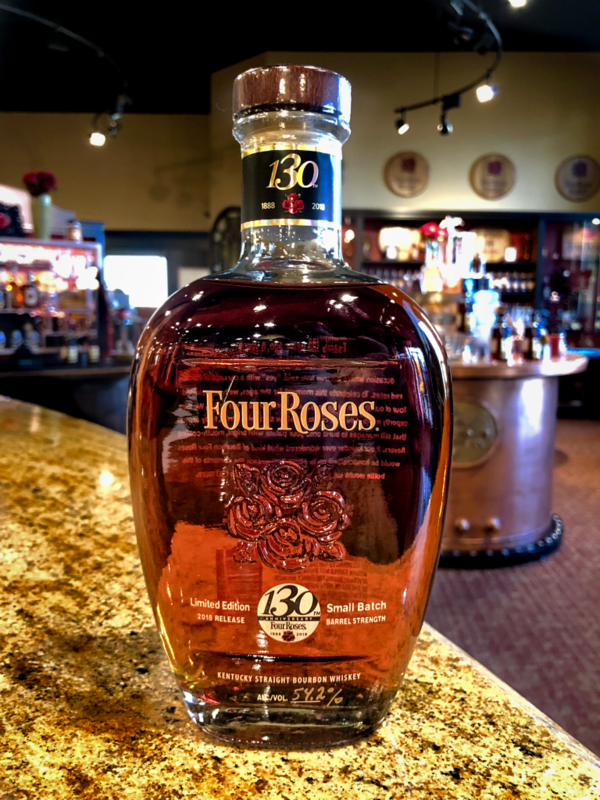 A 13-year-old Bourbon from Four Roses’ OBSF recipe, a 10-year-old OBSV, a 14-year-old OESV and a and a 16-year-old OESK were selected for this Limited Edition Small Batch. Bottled at barrel strength with a proof 108.4, the remarkably balanced 130th Anniversary Limited Edition Small Batch introduces warm aromas of rich vanilla and crème brûlée, mingled with ripe berries. Bright apricot flavors greet the palate, then give way to hints of mint, cinnamon, apple and mellow oak. The finish is very long, with notes of more fruit, vanilla and cinnamon. Friends from across the country celebrated this release with us at a number of events here in Kentucky, and lined up at our Distillery and Warehouse & Bottling Facility Visitor’s Centers to purchase a bottle of this special Bourbon. We kicked off the launch of the Limited Edition Small Batch Bourbon with a series of 130th Anniversary Celebration Events. The events were hosted at 1888 Historic Rocking Horse Manor in Louisville, Ky. and Waveland State Historic Site in Lexington, Ky. to commemorate the 130-year history of our brand. 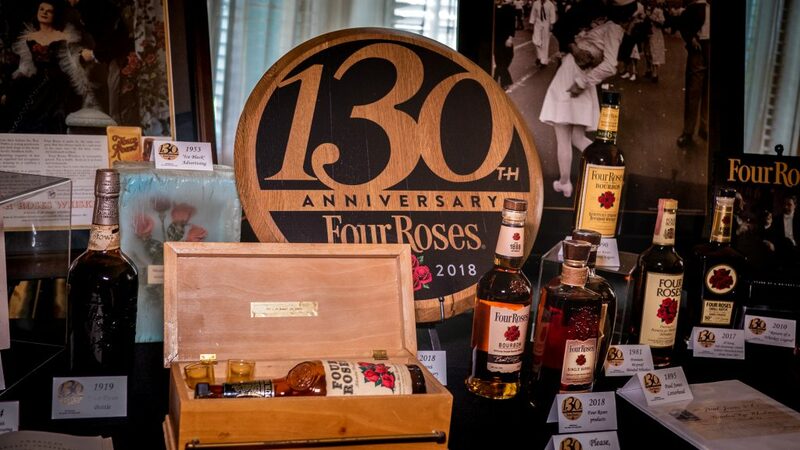 These events were open to the public, and provided the opportunity to mingle with Master Distiller Brent Elliott and Senior Brand Ambassador Al Young, while sipping Four Roses’ family of award-winning Bourbons neat, on the rocks or in a cocktail. Historical artifacts from the Four Roses archives collection were displayed for attendees to view in an exhibit. And, of course, we ended the evening with a very special toast. 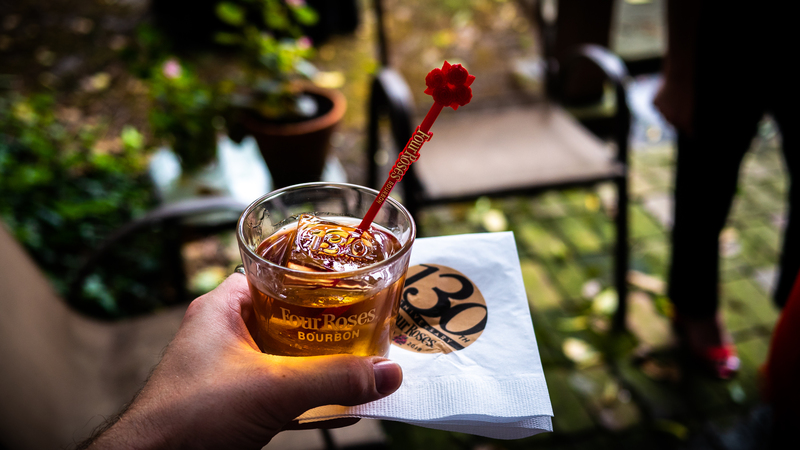 We raised a glass of the 130th Anniversary Limited Edition Small Batch again at our annual Let’s Talk Bourbon® event. 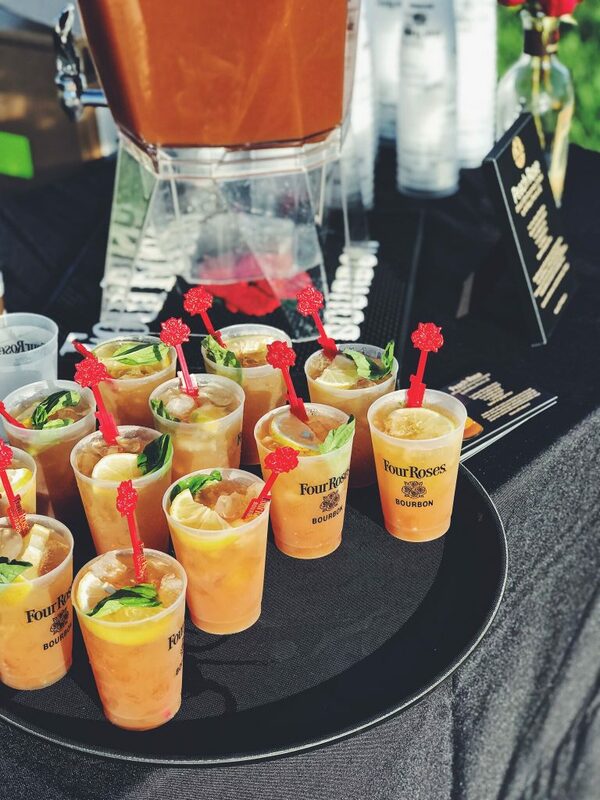 Each September, this event takes place at our Distillery in Lawrenceburg, Ky. during the Kentucky Bourbon Festival. At the event, Master Distiller Brent Elliott spoke about our unique Bourbon-making process and Senior Brand Ambassador Al Young discussed Four Roses’ 130-year history, while guests enjoyed a southern-style breakfast buffet and the delicious Peach Rose cocktail from Four Roses’ Best Home Bartender Will Mejia. Guests of the event were given the exclusive opportunity to purchase a bottle of the Limited Edition Small Batch. After much anticipation, the 130th Anniversary Limited Edition Small Batch went on sale to the general public on Saturday, September 15. As with any of our Limited Edition offerings, the Bourbon was offered first at our Distillery and Warehouse & Bottling Facility Visitor’s Center locations. 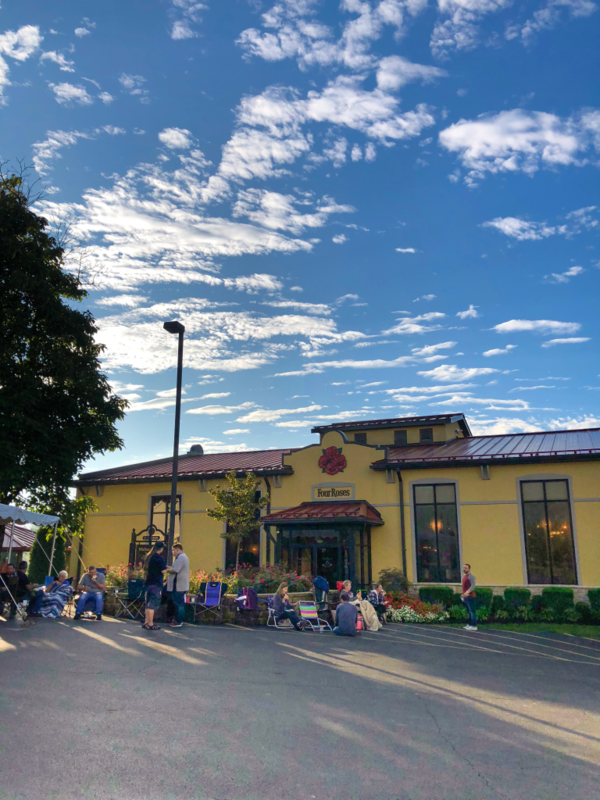 Four Roses enthusiasts from across the country lined up bright and early for the chance to purchase a bottle. The 130th Anniversary Limited Edition Small Batch is now available for purchase at select retail locations nationwide, while limited quantities last. It won’t last long, so be sure to visit your local retailer to pick up a bottle today!